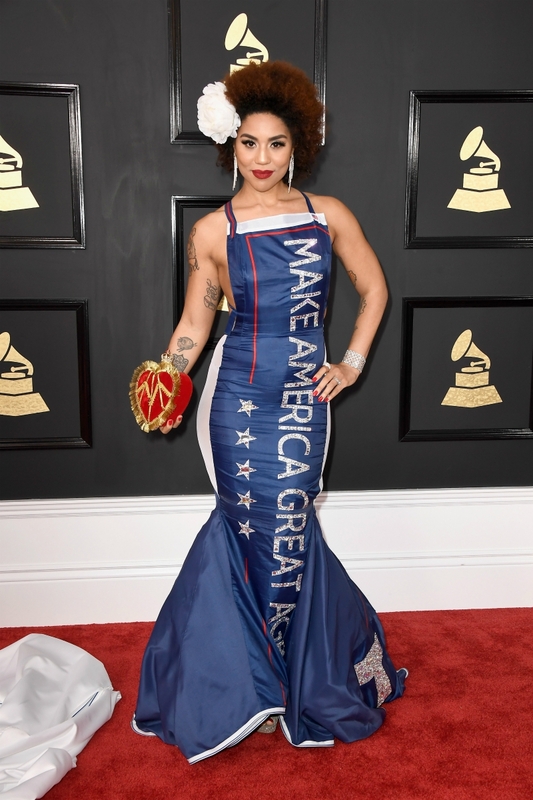 Wearing a pro-Trump costume to a ceremony teeming with “liberal elites” turned out to be a very clever way to make people pay attention to the fact that she exists, so Villa struck again at this year’s awards, wearing a gown emblazoned with the phrase “build the wall,” which she accessorized with a Make America Great Again purse. The ensemble’s designer, Desi Designs, posted some watermarked images on Instagram. 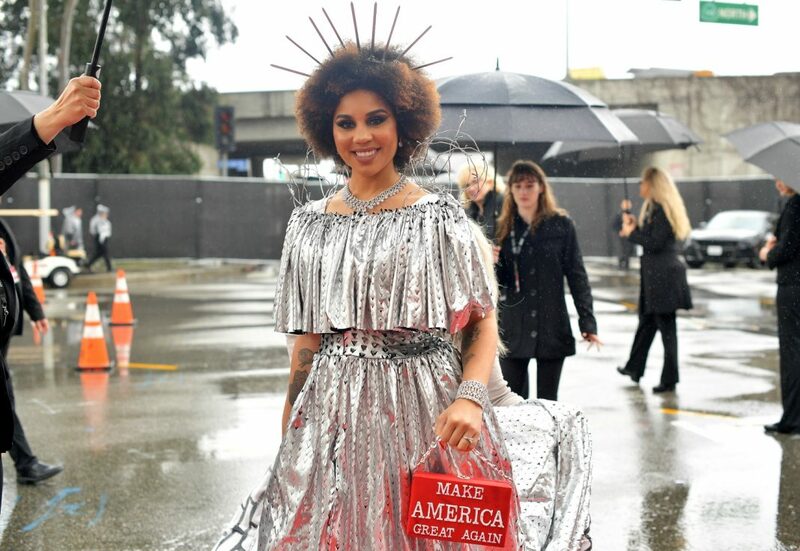 It’s been reported that Scientology’s popularity is waning among the Hollywood elite—but at least they (and Donald Trump) have Joy Villa. RELATED: Is Scientology Losing Its Celebrity Cachet?